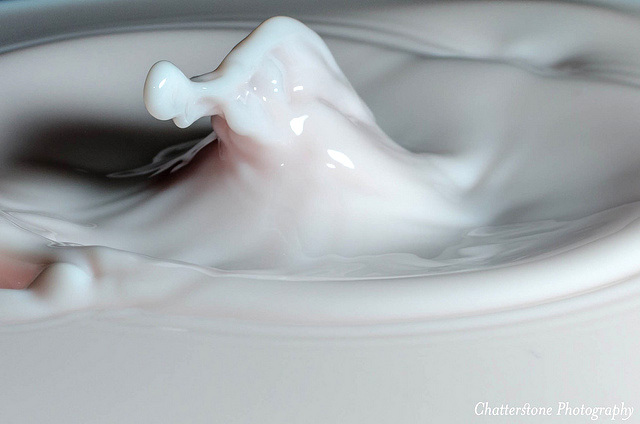 Milk splash (titled "Milk Sculpture" ... looks like a seahorse to us); photo by Grant Frederiksen on Flickr (noncommercial use permitted with attribution / no derivative works). Minnesota produces 9.7 billion pounds of milk a year (6% of the nation’s total) and ranks sixth in dairy production among the states. Milk has been called a nearly perfect food - a source of protein, calcium, and several other important nutrients. Each dairy cow gives about 6.5 gallons of milk per day. Less than half of this milk is consumed as a beverage - excess is used for butter, cheese, ice cream, yogurt, milk powder, and other processed products. 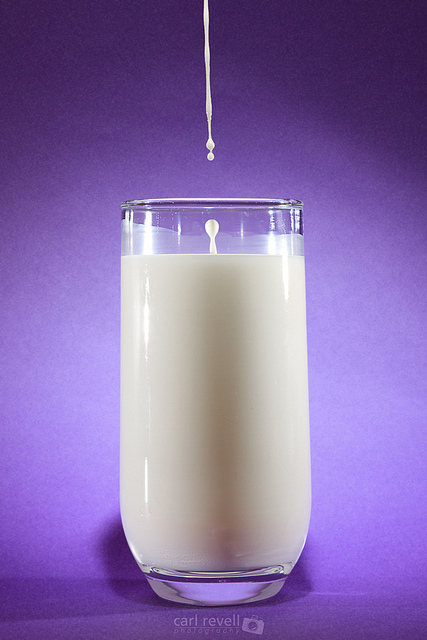 Glass of milk; photo by Sprogz on Flickr (noncommercial use permitted with attribution / no derivative works). Milk, cheese, ice cream, yogurt; public domain photo from USDA Kids Corner: Facts about Dairy Products. 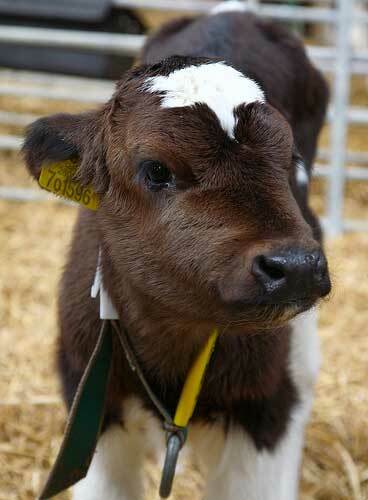 Holstein calf photo by Ian Hayhurst on Flickr (noncommercial use permitted with attribution | share alike).